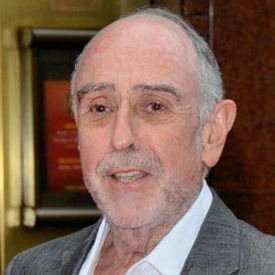 Claude-Michel Schönberg is a French composer and performer who, in collaboration with lyricist and librettist Alain Boublil, has produced several award-winning musicals that have made the duo notable figures in musical theatre. Schönberg was born in Vannes, France, to musical Hungarian-Jewish parents. He began his career as a singer and record producer, but transitioned into composition after writing the music for France’s first rock opera La Révolution Française -- his first production with long time collaborator Alain Boublil. The two reunited five years later to bring to life Boublil’s vision of a mega-musical version of Victor Hugo’s Les Miserables. Les Mis premiered two years later in France and transferred to London in 1985. The London production was a smash hit, earning three Olivier nominations and continuing to run to this day as the West End’s longest running show. The Broadway production also found great success, winning eight Tony Awards including Best Musical. In the years following the original production, Broadway has seen several successful revivals of Les Mis, and the musical was even adapted into an Academy Award-winning movie. Schönberg and Boublil followed up their successful production with Miss Saigon, another hit that ran for 10 years both in London and on Broadway and won awards on both sides of the pond. After Miss Saigon, Schonberg worked with Boublil on several less commercially successful shows including Martin Guerre (1996), The Pirate Queen (2006), and most recently Marguerite (2008). During his career, Schönberg has also composed scores for several ballets and written music and lyrics for pop songs, including the French translation of ABBA’s “Waterloo” and an album of songs sung by himself.